Why are Banks recruiting directly and not through IBPS PO 6? The candidates are finding it difficult to understand why the bank is recruiting only through Manipal School of Banking, or other class room programmes and not through IBPS PO. In this article, we shall try to decode the reasons behind it but one thing is clear and that is, banks are increasingly going for Manipal School of Banking Programme instead of IBPS PO and candidates need to be accustomed to this fact as soon as possible. 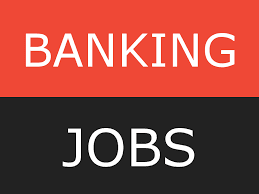 Some Banks which released Notification for Recruitment directly and not through IBPS PO VI. 1. The selection process is more rigorous: The selection process through Manipal School of Banking/NIIT-IFBI/ is more rigorous since it includes group discussion as well as interview once you clear the hurdle of the written exam. Hence, the communication skill of the candidates is tested very well as it is very necessary for a successful and effective banker. 2. Descriptive test is there: In this programme, you have to pass a descriptive test in order to get selected. It is very important for a banker to be able to communicate properly through writing. In IBPS PO, there is no provision of any descriptive test in the selection process. 3. The candidates are trained properly: Once you are selected through Baroda Manipal School of Banking Programme, you need to undergo a training period of almost a year before you are absorbed in the branch. The training includes both classroom training as well as practical training in the branches. So, the bank gets a trained officer at the end of the whole tenure. 4. Low rates of attrition: Once you join the bank through this programmer, you have to sign a bond and because of that, you cannot leave the bank before a period of 5 years of service. In case you decide to leave, you have to pay a hefty sum to the bank as compensation. It ensures that officers are there in the bank after that rigorous training programme imparted by the bank. 5. The bank can extend education loans: Yes, you will get education loan from the bank to cover your course fees during the training period at the Baroda Manipal School of Banking. It ensures that the bank can increase its credit portfolio without much hassle and obviously with very less exposure to any risk. 6. Source of revenue for the bank: This programme is a money-spinner for the bank since it gets the money from the candidates and on the other hand, it can extend credit facility to those candidates also. This paves the way for interest earning for the bank without doing much. Banking PG programme is aimed at training a fresher into an effective banker. If you compare this to IBPS PO recruitment process, definitely you are losing more in the initial years but the training you get at the academy will make you ready for the future challenges in your career as a banker. This is the main reason banks are increasingly opting for this mode of recruitment in the recent years.